Wilderness: A Crooked Path to the Promised Land did not being as a book. Ken Pullen had no intention of writing a book, but the people he shared the poems in this volume with urged him to pursue getting these poems published for others to discover them. God has worked, and continues to work in Ken’s life daily. In these poems you will discover a part of Ken’s personal walk with the Lord while reading a distinct and clear voice much need in the times in which we live. 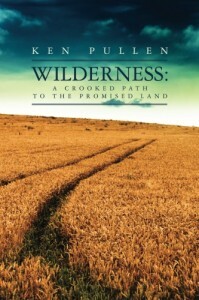 Ken’s book of original poetry incorporating Scripture from the King James Version is now available in trade paperback.